In beautiful Ma‘alaea, Hawaii, the Maui Ocean Center is a must see for any marine life connoisseur seeking adventure. Coral World International opened the largest tropical aquarium in the western hemisphere in 1998 and since then, Maui Ocean Center has attracted thousands of visitors to Ma‘alaea to learn about Hawaii’s aquatic life. Exhibits – Maui Ocean Center holds one of the largest collections of live coral in the USA and over 60 captivating exhibits; including outdoor touch pools, interpretive displays, and a 750 000 gallon Open Ocean Exhibit with a 240-degree view acrylic tunnel. 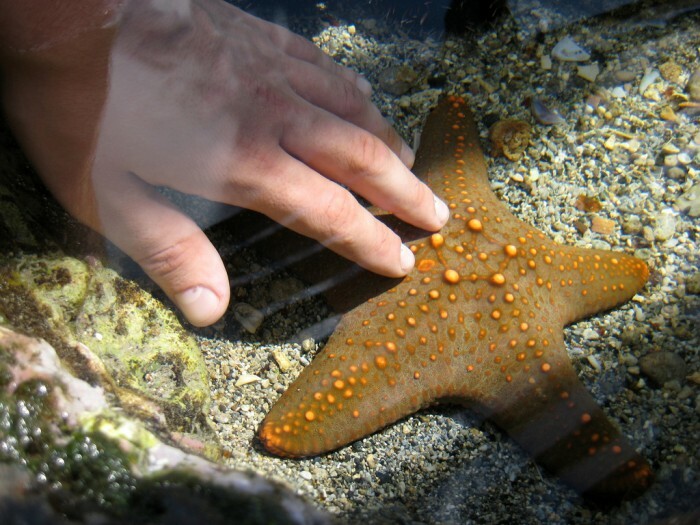 The aquatic life center has a mission “to foster an understanding, wonder and respect for Hawaii’s marine life”. 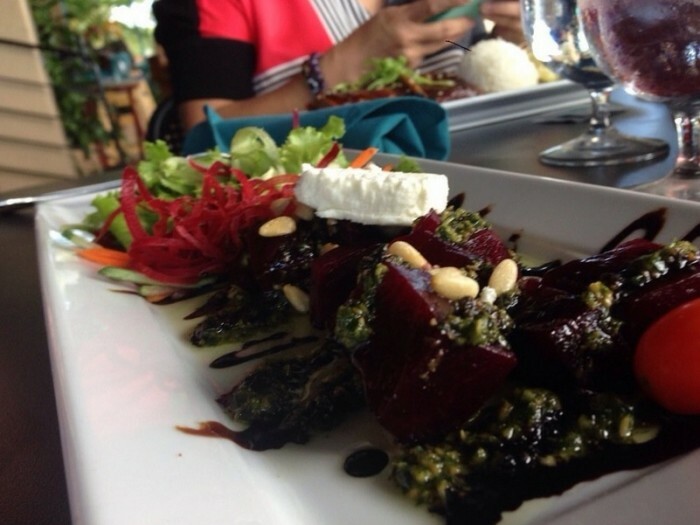 Seascape Ma‘alaea Restaurant – Open daily from 11am to 2:30pm. An award-winning, trans-fat free menu that serves only sustainable fish options will surely make your mouth water, guilt-free! Shark Dive Maui – Are you a certified scuba diver? Take the opportunity to dive into Maui Ocean Center’s 750 000 gallon Open Ocean Exhibit to come face to face with sharks, stingrays, and thousands of Maui’s tropical fish. If you’re a certified diver age 15 and older, call to reserve your Shark Dive at Maui Ocean Center for $199 + tax. Sleep with the Sharks – Several times throughout the year, Maui Ocean Center offers children ages 6-13 with an accompanying adult the opportunity to sleep underneath the center’s 750 000 gallon exhibit to witness the animal’s nighttime behaviors. The magical experience can be booked privately or you can attend a public sleepover beginning at 7pm on a Friday night and ending at 9am the next morning! Nighttime snacks and a light continental breakfast are provided the next day. Trilogy Excursions: Discover Molokini – Adults $140.21; Child $105.16; Child under 2yrs free. Book in Advance Online – By booking your Day Journey Pass in advance, you can receive a free Week Journey Pass for the price of a Day Pass! Make sure you purchase your tickets online by 4pm the day prior to your visit to Maui Ocean Center to redeem this deal! Bring your camera – The amazing ocean life of Hawaii will leave you breathless- and wanting to show off your trip to Maui Ocean Center to all your friends and family at home. Make sure you capture the moment to reflect on for years to come! Create a Combo Package – Combine your trip to Maui Ocean Center with other activities in Maui to save more. In addition to your Day Journey Pass, you can book a 9am dive with Atlantis Adventures Submarine, a bike tour with Maui Downhill, or discover Molokini underwater with Trilogy Excursions. Gift shop – Access to the gift shop and restaurant are honored without admission to Maui Ocean Center. Bus – Take the Lahaina Islander (#20) from Kahalui to Maui Ocean Center. Arrive at Ma’alaea Harbor Village in 35 minutes and walk 2 minutes up the road. Bike – 42 minutes from Kahalui to Maui Ocean Center along Kuihelani Highway or another route of your choice. Seascape Ma‘alaea Restaurant is an active participant in Monterey Bay Aquarium’s Seafood Watch program, serving only sustainable seafood that is listed on the program’s Best Choices and Good Alternatives lists. Maui Ocean Treasures Gift Shop features an extensive collection of marine fossils. Maui Ocean Center partnered with Hawaii State’s Department of Land and Natural Resources (DLNR), Division of Boating and Ocean Recreation (DOBOR), and Division of Aquatic Resources (DAR) to transport coral from the project site at Lahaina Small Boat Harbor to other sites around the state. This coral recovery was successfully completed to minimize the effects of the project site on coral in and around Lahaina Small Boat Harbor and other areas. Approximately 25% of Hawaii’s marine animals are endemic, meaning they are found only in Hawaii. Maui Ocean Center houses several endemic species, providing guests with the rare opportunity to view marine life found nowhere else in the world. I loved it! Tickets were not expencieve and a lot to see. My son was speechless when he saw huge aquariums and al those fishes. Everything is clean and bright! Perfect place where you easily can spend half of a day. Souvenirs in store are amazing. Could say that we spent few hours in Paradise! Love this place. Very educational and just a great time, no matter your age or interests. It is pretty conveniently located and easy to get to. There are loads of different exhibitions to check out. Reserve a good 3 or 4 hours out of your day for this aquarium! Address: 150 Hauoli Street, Maalaea, Hawaii, United States.